Corbin, Kentucky (June 29, 2016) Overnight success never comes quickly. After years of proving herself as a passionate singer, Pauline Patterson, is set to explode on the Southern Gospel Music scene. 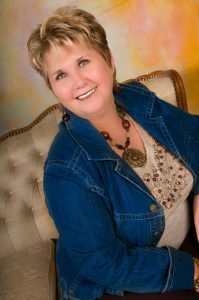 She has been involved in almost every aspect of Southern Gospel Music for 35 years. 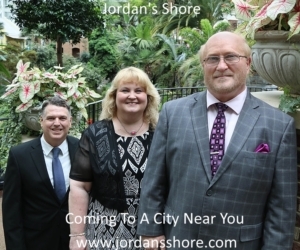 She is currently involved as a singer with great charting success and is hosting seven Patterson Promotions Homecoming concerts across the country. She owns and operates Patterson Promotions supplying radio service to hundreds of DJs and radio stations with some of the most current singles you hear on radio today. Patterson Promotions is a radio promotions company that God established in 2005. She has promoted many artists such as Homeland Quartet, Poet Voices, The Hoskins Family, The Porter Family, The Wilbanks, The Partons, Mike Upright, and Chuck Compton, to name a few. She has now embarked on another venue to promote Gospel Music with the purchase of the Southern Gospel Times, an E-zine web site. Pauline has never forgotten the call God has placed in her own life as a singer. She has recorded 8 projects and has released numerous songs to national radio with charting success in all major charts. Through her singing, speaking, and radio releases and promotions of her clients to national radio, she strives to reach SOULS . Pauline recently came to an agreement with AG Publicity to help spread the word of her talents and successes to a larger audience. Pauline Patterson is originally from Harlan County in Southeastern Kentucky. She now resides in Corbin, KY with her husband Kenneth. They have two grown sons, Bill and Scott, and three grandsons.